The 2017 LaFerrari Aperta is setting a new tone within the Ferrari brand. 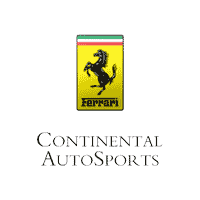 Blending the extreme power and precision that the brand is known for, with the advanced efficiency of a hybrid powertrain, this supercar is poised to offer a new level of performance as the most powerful Ferrari designed for the road. Of course, this incredible drive comes in addition to a long list of other appealing attributes including its advanced technology, exclusive availability and beyond eye-catching style. The 2017 LaFerrari Aperta will draw you in with its powerful exterior styling and comfortable interior, but it’ll seal the deal with its adrenaline-inducing performance. It’s all thanks to the uniquely massive mid-rear, naturally aspirated V12 engine that’s been paired with a 120kW electric motor. Together, these power sources are able to produce an incredible maximum output of 963 cv (949.44 horsepower) and 900 nm (663.8 lb-ft) of torque. Its unique powertrain configuration comes together in this hybrid supercar, which features the pairing of a V12 engine with a fuel-saving electric motor, allowing the LaFerrari Aperta to achieve incredible power while doing so with game-changing efficiency. 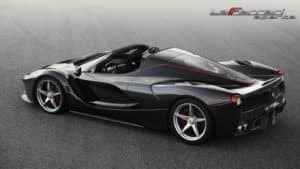 Its HY-KERS system perfectly blends power and economy to make the hybrid 2017 LaFerrari Aperta the most high-performance and efficient Ferrari vehicle out there. And we definitely mean it when we say it offers a high-performance drive. With these impressive specs, the Laferrari Aperta is able to reach a top speed of 218 miles per hour. It can also reach 124 miles per hour in less than seven seconds and 186 miles per hour in just 15 seconds. If you have any questions or would like to learn more about the LaFerrari Aperta, feel free to give us a call or contact us online. And if you’d like to read more about the brand’s other powerful models, be sure to check out the rest of our blog!